Fill'er up with the best stuff in the house! Be sure your guests are drinking all of their beverage when serving it from a drinking horn. You cannot set this horn down until it is empty. What a classic way to cool off the festivities with a historically famous way to drink! Each horn is from an actual buffalo (no animals were harmed in the making). 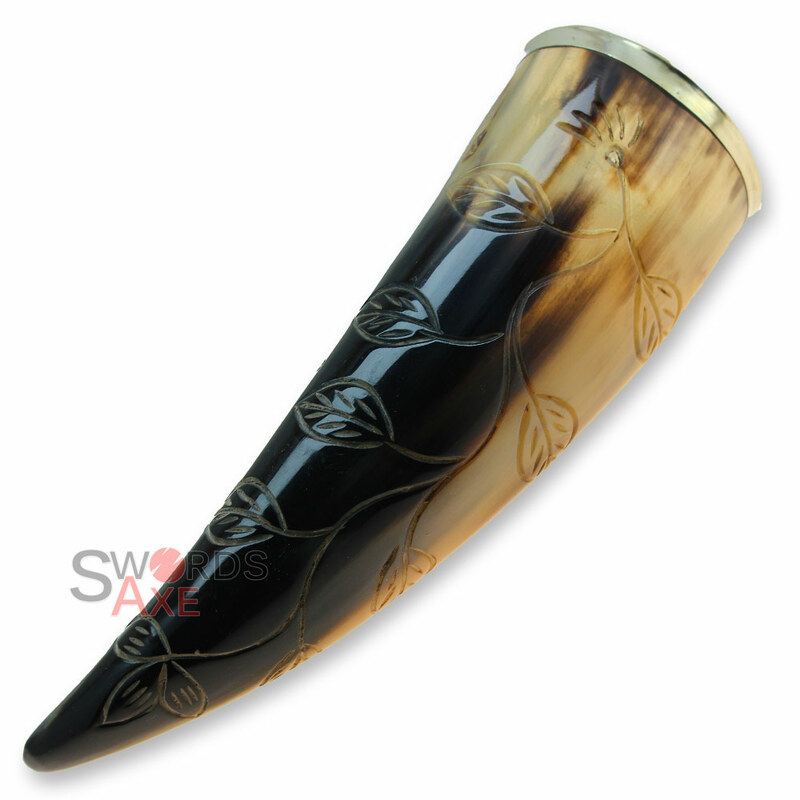 A master carving expert hand carved each horn to it's current state for your pleasure. 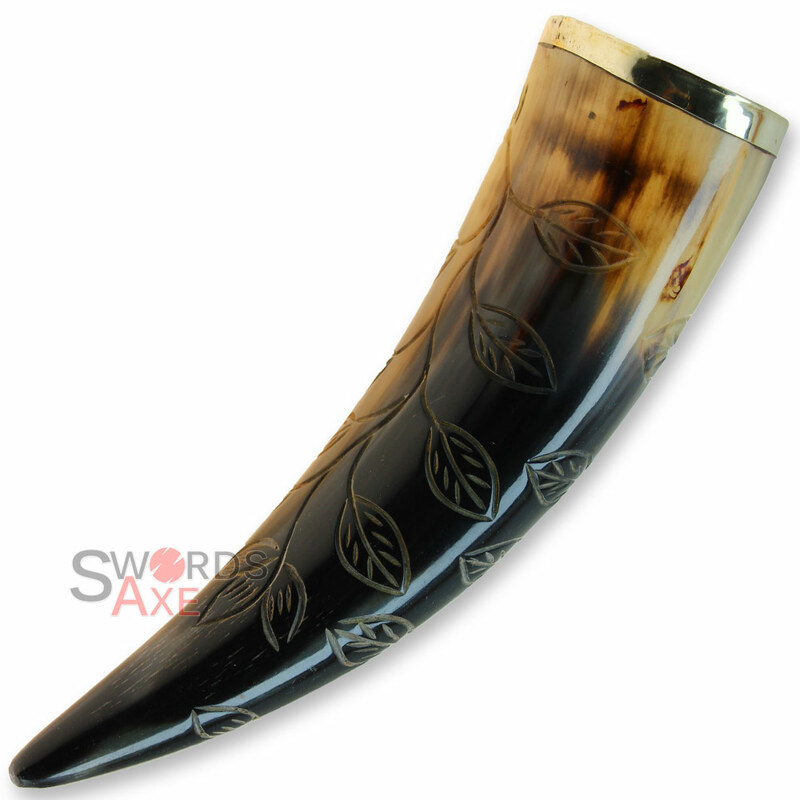 It features a hand carved pattern of natural plant life leaves or vines and a brass rim or ring at the open end.